Saving a few short-term bucks on a subsidized tablet by inking a two-year contract with AT&T may be a thing of the past. According to a document sent to us by a tipster, Ma Bell will no longer offer discounted, on-contract slates as of August 19th. 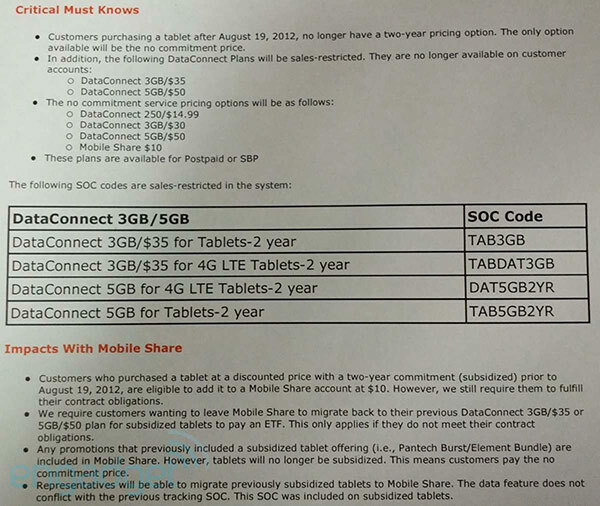 However, it looks like Big Blue is still happy to offer slabs at standard, no-commitment prices along with DataConnect and MobileShare plans. Head past the break if you'd like to take a peek at the notice in deeper detail.